William Faulkner knew it. Janette Turner Hospital, Kate Grenville, Julian Barnes know it. But studies are just starting to prove it. The more writers hold back on the effusive emoting of their characters, the more emotion their readers will feel. 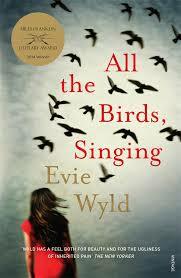 Take this example of Evie Wyld’s Miles Franklin winner, All the Birds, Singing. Instead Wyld has chosen to describe what fear looks like, not the emotion itself. She describes objectively what is happening, what the character sees and hears and physically feels. The dog’s tail is rigid and his hackles are up. The ceiling creaks as if someone walked there. Blood thumps in her ears. She pulls the covers up as if to hide behind them. The dog is alert, fixated on the space beneath the door, and growls. When a reader watches the scene unfold, has to read the signs and interpret them, he is actively involved in what’s happening. He experiences the situation alongside the character. In effect, HE IS THERE. The emotions aroused by scenes like the one above is supplied by the READER. A lesser writer would tell the reader how the character is feeling. But as soon as she does that, the reader doesn’t need to interpret and draw conclusions about what’s happening. The reader won’t be involved in the experience and therefore he doesn’t feel what that experience is like. So the more the characters tell how they feel, the less the reader experiences the emotion. Next time you write a scene with strong emotion, try this ‘cold’ way of writing for yourself and see what happens. This entry was posted in Writing, writing process and tagged Evie Wyld, writing, writing emotion, Writing process, writing skills. Bookmark the permalink. This is excellent advice, I must try it out. Thanks for sharing. Hi Michael. Evie Wyld certainly knows how to use that skill to great effect. Thanks for coming by. Lovely to see you again Karen…..hope you are keeping well…. All fine, thanks. 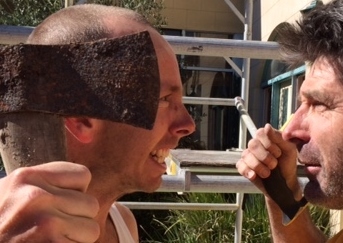 A house restoration, wedding, new baby in the family and overseas visitors have made blogging harder this year. But I still notice you are admirably prolific. Hope all is well with you. Such a powerful piece of writing. I will definitely be trying to hone this skill! Thanks Karen. Evie Wyld is a powerful writer, Maree. I loved both her books. Thanks for your comment. Great example of strong writing, Karen. Like watching a video. Thank you for another beautifully written valuable writing lesson. That’s a great analogy, Anne. It is like watching a scene in a film acted out in front of you. Thank you for your comment.